At The Orthopedic Clinic, we want you to live your best life in full motion. Sometimes this means having orthopedic surgery. When you need to have surgery, you want to take comfort knowing you’re getting the best care. That’s why our respectful, accomplished physicians perform many outpatient orthopedic surgeries at our state-of-the-art surgery center. 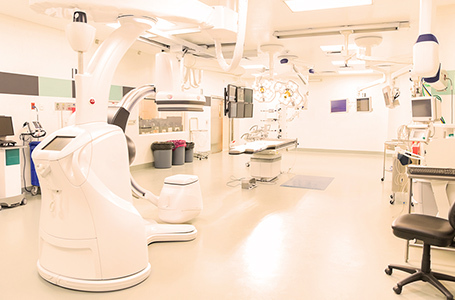 Our Board-Certified surgeons and their dependable staff of physician assistants, registered nurses, and certified surgical technologists perform a wide range of quality outpatient orthopedic surgeries at the East Coast Surgery Center because it offers a convenient setting with all the advantages of a major hospital. We understand it can be a difficult decision to have surgery. At The Orthopedic Clinic, we’re passionate about providing the best care possible. Our expert surgical staff is committed to getting you back to doing the things you love, because that’s what it means to live your best life in full motion.